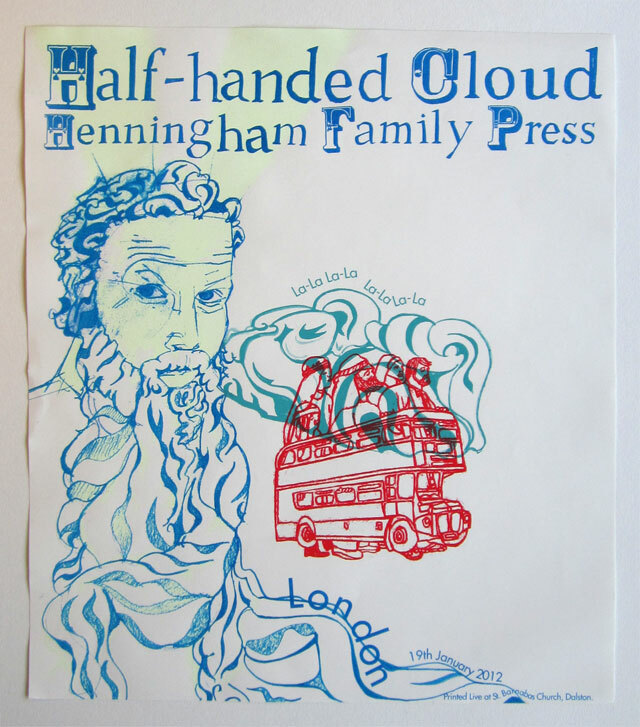 This layers of this print were done as stages in a processional show with Half-handed Cloud, as part of the Monday School project. The waves of the Red Sea pulled back for a red routemaster bus to appear packed with Israelites, or possibly Sunday School kids doing a play. Moses’ face, which makes up half the waves, also glows in the dark; a nice surprise for our audience as they moved from a brightly lit chapel into the dark church!